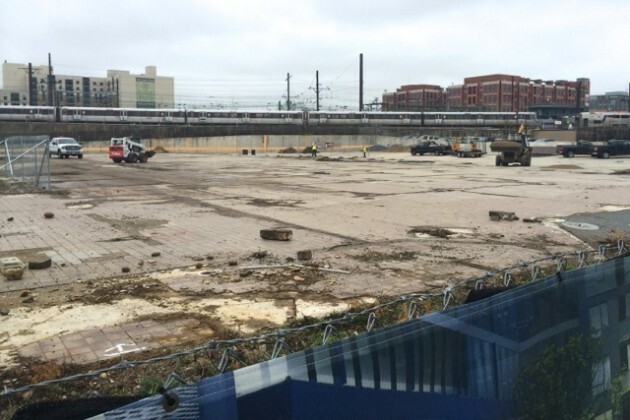 (Updated at 2 p.m.) An empty lot that once was home to a Greyhound bus station might be a dog park by this summer. 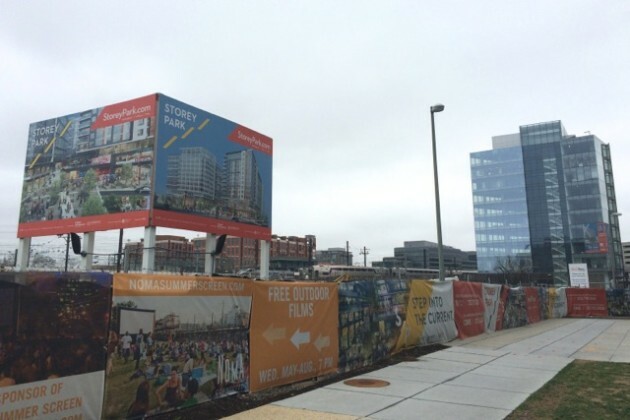 The NoMa Business Improvement District is considering building a temporary dog park at the southeast corner of 1st and L streets NE, where the Storey Park residential and retail complex is set to open in 2017. NoMa currently does not have any parks where dogs can roam unleashed. The BID was previously considering a dog run about two blocks north, on 1st Street NE between Patterson and N streets NE, as part of NoMa BID’s “Front Porch” project. 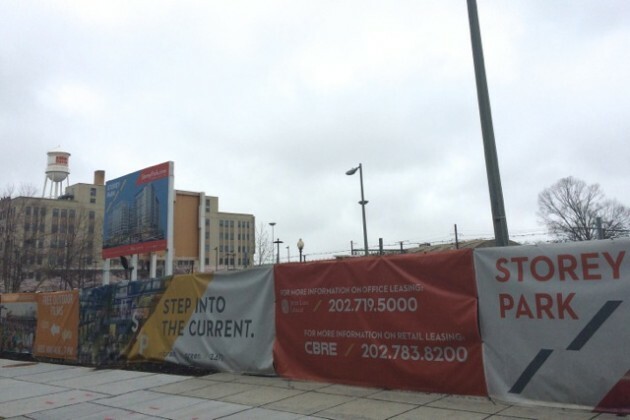 The plan was to convert grass beds along 1st Street NE to “a gathering space with bistro seating, a bar and vending area, and a play area with porch swings, games and play equipment” by this summer, according to NoMa BID’s annual report for 2014. Robin-Eve Jasper, the BID’s president, told the ANC 6C parks committee last night that the project was declined by the District Department of Transportation’s Urban Forestry Administration over concerns about potential damage to trees. The BID now is moving ahead with bringing murals, seating and other elements of the Front Porch to the Storey Park development instead, Jasper said. Storey Park will host the NoMa Summer Screen film series and other community events. The area will be ready by May 27, the date of the first NoMa Summer Screen movie, Japser said. “We’re just going to try to make it huge fun,” she said. Capitol Hill Home Bidding Wars: What Are They Good For?